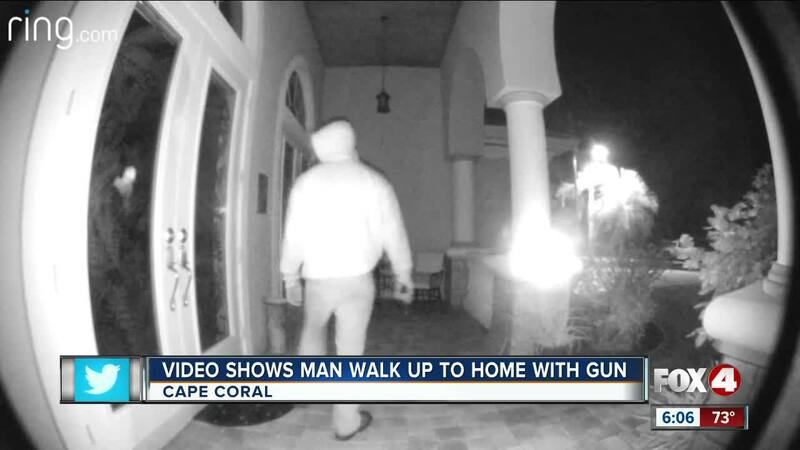 CAPE CORAL, Fla. -- Check out this "Ring" home surveillance video showing a man walking up to a Cape Coral homeowner's front door with a gun. This video was posted on the "neighbors" app to alert others about crime in the area. The description says it happened just after 4 in the morning on Saturday at a home off Old Burnt Store Road and Ceitus Parkway. Count on us to keep you updates as we get more information.